Wikipack Africa is an offline action pack that contains the WikiFundi software, materials and content that facilitates the outreach work done by local Wikimedia chapters and user groups, or isolated individuals in African countries. This pack allows for new editor training and contribution to continue when technology fails or is inadequate, the internet is inaccessible, or the power goes out. Wikipack Africa empowers volunteer communities to grow as Wikimedia organisations pave the way for a self-reliant future. Further, it can be adapted to empower educators to assist with access to key educational resources, although it is primarily meant for individuals and groups who want to implement outreach projects, such as organising edit-a-thons, photo hunts, workshops, press conferences and so forth to promote Wikimedia projects. Wikipack Africa was designed and created to support the WikiAfrica movement and Wikimedia volunteers across Africa. It has been developed by Florence Devouard and Isla Haddow-Flood at Wiki In Africa. The proof of concept has been conducted in collaboration with Wikimedia CH and supported by the Orange Foundation. 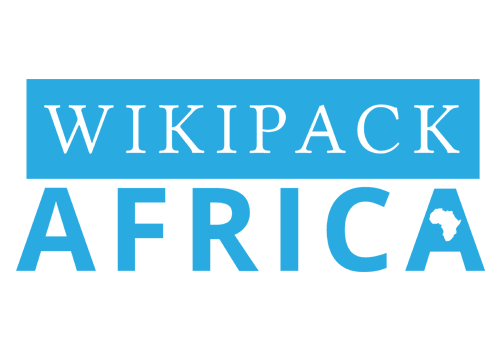 The Wikipack Africa’s documentation is licensed under CC-BY-SA 4.0. If you are a Wikimedian or Wikimedia group working in Africa, you can apply for a Wikipack here. 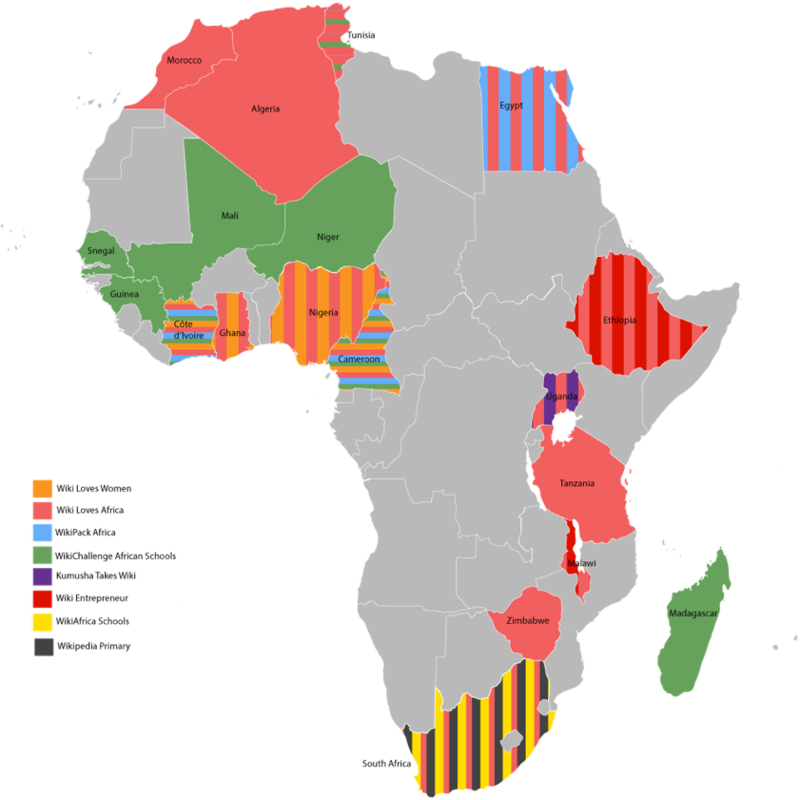 WikiAfrica was started in 2006 as a collaboration between Wikimedia IT and lettera27, since then – via the support of several organisations and the work of a few people – it has grown to embrace the continent and build communities. It has been pivotal in driving the current contributions done by communities across sub-Saharan Africa. The projects detailed below form the main backbone of the WikiAfrica movement. They have all been conceptualised, instigated and led by three members of Wiki In Africa, although until 2017 through the agency or fiscal sponsorship of different organisations. WikiAfrica is launched by lettera27 Foundation in collaboration with Wikimedia Italia, led by Iolanda Pensa. A 30’000 African contributions to Wikimedia projects by 2012 milestone is set. The Africa Centre begins working on WikiAfrica projects, led by Isla Haddow-Flood. Share Your Knowledge is launched to involve cultural institutions in contributing to the WikiAfrica milestone. The WikiAfrica Primary School Feasibility Study is created. Share Your Knowledge, the collaboration between lettera27, Africa Centre and over 100 GLAM partners, achieves the milestone of 30,000 African contributions to Wikimedia projects. The WikiEntrepreneur project is launched in Malawi and Ethiopia. The Kumusha Takes Wiki project is launched in Uganda and Cote d’Ivoire. Florence Devouard becomes involved with the WikiAfrica Movement as co-lead on Kumusha Takes Wiki. The Wiki Loves Africa photographic competition is launched under the theme Cuisine. The OpenAfrica14, a four-week training course in Cape Town, is held. Kumusha Bus is launched in Ethiopia in June and Ghana in November. The OpenAfrica15, a week-long WIR training course training 6 Wikipedians across Africa at the Goethe-Institut in Johannesburg. 2015. The second edition of Wiki Loves Africa photographic competition is held and completed under the theme Cultural Fashion and Adornment. Wiki Loves Women is launched with the Wiki Loves Women Writing Contest #15Challenge. The Africa Destubathon partners with Wiki Loves Women in October and November. 2016. Wiki Loves Africa holds its third photographic competition under the theme of Music and Dance (funded by WMF). 2016. Wikipack Africa is launched and involves the development of WikiFundi and WikiChallenge African Schools from Orange Foundation (hosted by Wikimedia CH). Wiki In Africa is registered as an NGO in South Africa. Official launch of WikiFundi, a software that provides off-line editing environment that mimics the Wikipedia environment. #16WikiWomen translation drive is held to celebrate International Women’s Day for Wiki Loves Women. Credit: This website is managed and run by Wiki In Africa in order to ensure all contributions to WikiAfrica are recorded.